BRYAN EATON/Staff photo. 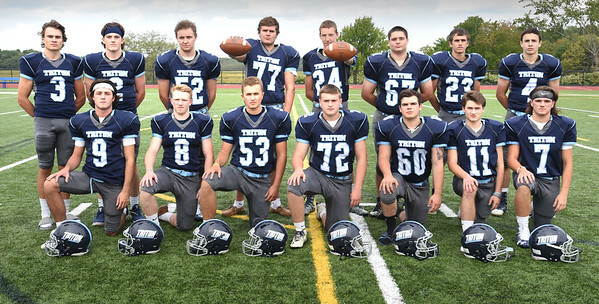 Triton High football team seniors, front, from left, Jared Durkin, Dylan Leavitt, Travis Madden, Steven Particelli, Brandon Eppa, Marc Wood and Christian O'Brien. Back, from left, Gunnar Gustafson, Tommy Lapham, Cody Crocker, Alex Fecteau, Sean Greaney, Ryan Farrell, Sean Landry and John D'Arcy.